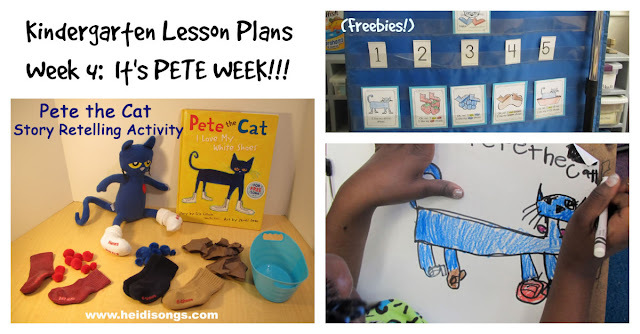 Do you LOVE Pete the Cat? Me, too! 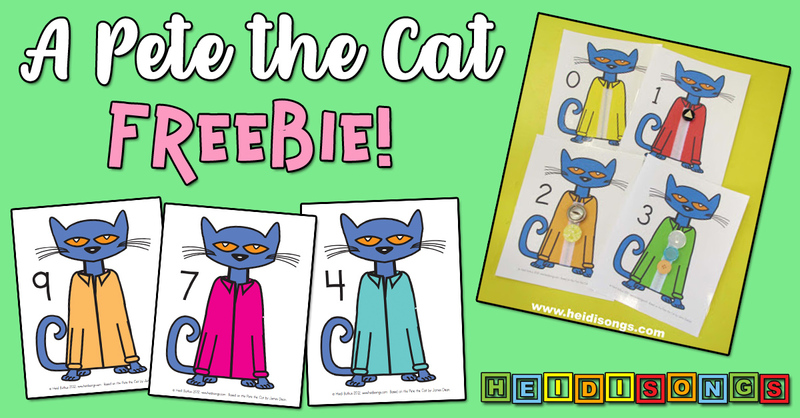 So here’s a fun NEW Pete the Cat freebie to start the new year off right! It’s our Pete the Cat Matching Numbers and Shoes Counting Activity! In this activity, kids will find the correct number of shoes to put in Pete’s closet and attach them with Velcro. So, they will count out four shoes for the closet with the number four, and six shoes for the closet with number six! It’s as easy as that. In my Kindergarten (and TK!) classroom, I love to provide lots of different ways to match numerals to sets, and this is my newest one! 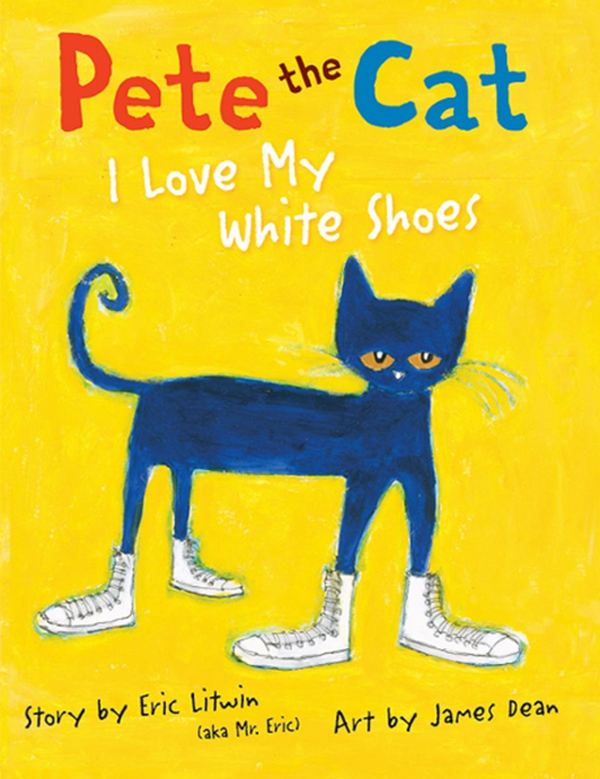 The kids sure do love Pete the Cat, so I decided I would create something new to go along with our Pete the Cat I Love My White Shoes book! 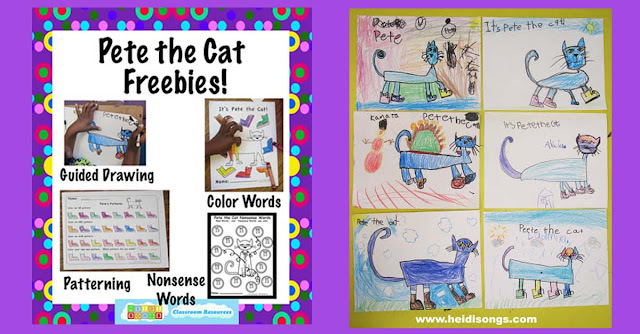 If you have been following our blog for more than a year, then you are probably aware of the various Pete the Cat freebies that we already have on this blog. So at the end of this post, we’ll link to a few! Meanwhile, be sure to check out or great songs and other resources for math, sight words, phonics, learning the alphabet, learning to sound out CVC words, and so much more! 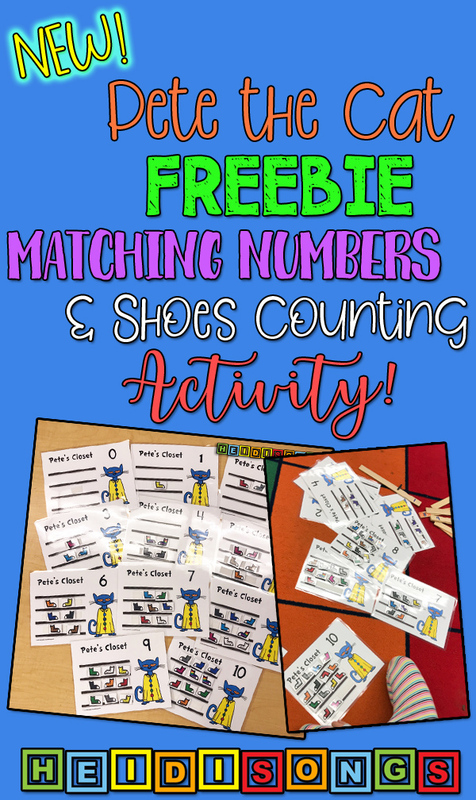 The purpose of this activity is to give children practice in matching numerals to the correct number of shoes. Therefore, this activity is to increase proficiency in counting, numeral recognition, and the development of number concepts. Duplicate the pages provided on white cardstock and laminate. Then cut the shoes apart. Add sticky back velcro to the back of the shoes and the “closet” pages. I suggest that you put long strips of velcro on the closet pages rather than individual velcro circles. Putting the correct number of circles on the closet shelves would give away the answer by indicating to the children exactly how many shoes to put in the closet. I always prepare several extra shoes than I will need to account for a few that may get lost. Spread the shoes out and give the children one of the closet sheets. Tell them to look at the number on the closet and count out the correct number of shoes and place them on the Velcro in the “closet shelves.” You may wish to have the children do this as a small group, or individually in centers, etc. Here's the link again to download this freebie!! Have fun! A Pete the Cat FREEBIE! 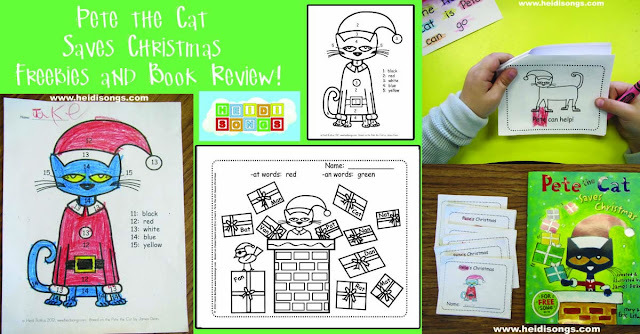 Pete the Cat Saves Christmas Freebies and Book Review! Pete the Cat Freebies- Guided Drawing, and More! Kindergarten Lesson Plans, Week Four: It’s Pete Week!